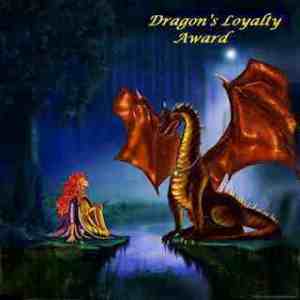 Apparently, experiencedtutors thought enough of my nascent blog to award me the “Dragon’s Loyalty Award”. I very much enjoy experiencedtutors blog. I find his writing to be witty and his humour dry, which is very much to my liking. Thank you so much! If you don’t already follow experiencedtutors, please consider doing so; his blog is a real treat to read. Place the dragon image on to the side bar with a link going back to your nominator – this is confusing to figure out how to do as experiencedtutors mentioned in his post but here is a link to how to do it in WordPress’ Support Section. 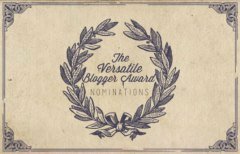 Nominate up to 15 bloggers you admire. I am enormous fan of Roman history and have a large collection of books on the subject. I am also passionate about software engineering, coding and software development in general. I have a happy little family which includes two wonderful little children. They are exhausting but so worth it. My dream is to be able to travel the world from the nearest to the furthest corner. I want to write a book but it seems like all the good plot ideas have been written about already at a level of skill that far surpasses my own. I have been a runner for most of my adult life though not beyond trundling around the neighbourhood or on a treadmill. I very much enjoy role-playing games (RPGs) and military strategy board games (especially ones based on the Roman legions — see Point #1 above). I have no time to play any of these games as the rest of my life is too busy (see Point #3 above). Gary Hilson – This is one of the people that inspired me to start my own public blog. His posts are sometimes funny and sometimes sad but are always informative and engaging. Everything Will Be Alright – This blogger doesn’t post very often but I’ve always liked what he’s written. Malcolm is a published writer and designer of role-playing games. ArchangelTravel – I love to travel and this blogger does that and writes all about it. maggiesonebuttkitchen – I have found many a good recipe on this blog and I think I’m gaining weight just reading it. WordsByNowak – This is a tech journalist I like to read. Some of these folks don’t have a ton of followers and some of them have thousands. I suspect some of them won’t care that they were nominated but I did anyway. I’m getting a little tired at this point so I’ll guess I’ll sign off. Hi! 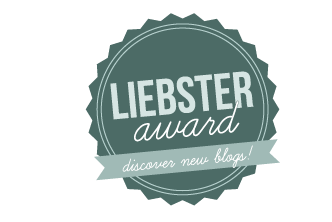 Thanks for stopping by my blog, and for deciding to follow it. I appreciate your visit and the vote of confidence, and I hope you will continue to enjoy my posts. Thank you for your kind and encouraging words. Please check out the blogs I’ve recommended as they are also very good.